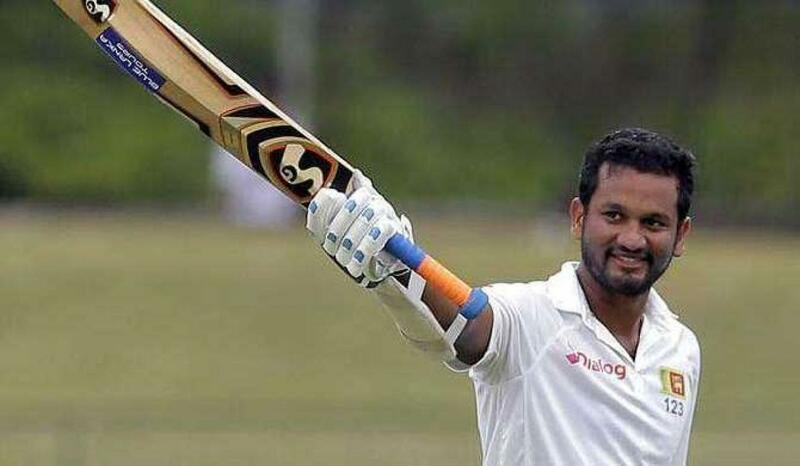 With two opening slots up for grabs after potential openers, Upul Tharanga, Niroshan Dickwella and Danushka Gunathilaka flopped in the domestic tourney,–possibly ending their hopes of making it into the 15-man squad–Karunaratne has thrown his hat into the ring following a decent outing with the bat. Karunaratne was never in the frame for the World Cup but his exceptional leadership during Sri Lanka’s historic triumph in South Africa and the ODI team’s disastrous performance under Lasith Malinga forced selectors to look at him closely. Though former captain Angelo Mathews, highest scorer of the local tournament, is the first choice captain as Sri Lanka look to turn around its fortunes, the former skipper has refused to take on any responsibility while Head Coach Chandika Hathurusingha remains in that position. With Mathews ruling himself out from the captaincy, the selectors are also looking at Dinesh Chandimal—the former Ananda College cricketer who has done the honours a few times in the past. “But can he earn a place in the side?” de Mel said. “This is the question we are faced with.” Chandimal scored 42 and 35 in two innings during the provincial tournament, hardly a convincing performance from a top order batter who was the captain of Team Colombo. “The captain should be an automatic choice in the playing XI and these are some of the things we need to sit down and discuss with everyone involved—the provincial coaches and the head coach,” he added. With regard to team selection, de Mel admitted that they are grappling with more questions than answers at the end of the provincial tournament. Players in the calibre of Angelo Mathews, Lasith Malinga, Suranga Lakmal, Kusal Mendis, Dimuth Karunaratne, Dhananjaya de Silva, Kusal Janith Perera , Thisara Perera, Isuru Udana and Dushmantha Chameera are likely to get the selectors’ nod, given their experience. The rest of the places are up for grabs. If SL DON'T gel as a Team!! Not going to win many matches!!??? Malinga and Thisara Cancerous for SL team !!! Without unity in the team, world cup would be a disaster!!?? Just because he won a test series it just Doesn't qualify him to be Captain. Its World Cup . Wishful thinking. Mathews will be a better choice , so that Hathurusinghe and Gurusinghe can be home taking care of the SLC board affairs.